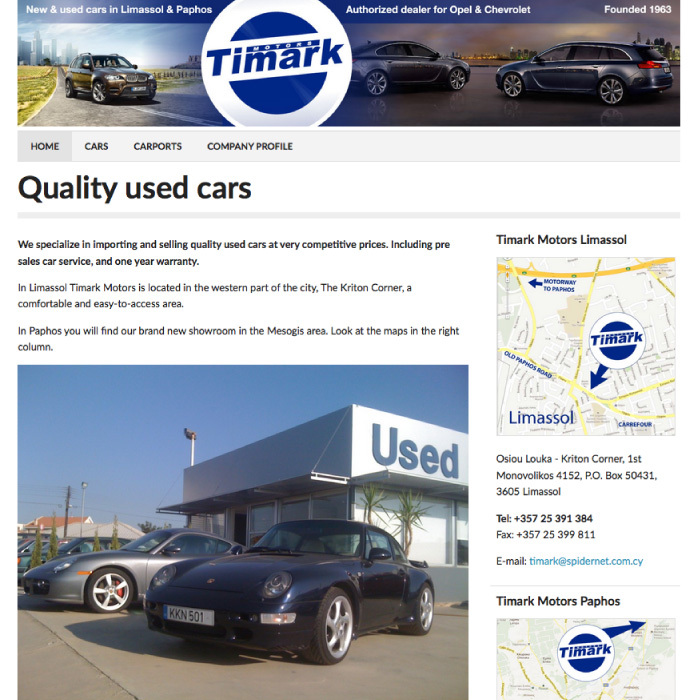 The Limassol and Paphos based car dealer needed a website foremost to promote used cars in their Limassol premises. (2011) A company page for which we did the design and graphics. The website enables the listing of individual cars through a easy manageable content management system. Further categorization of cars in brand, model, colour etc is available. Website is search engine optimized. The website has SERP 1, which means the website is on first page when searching for Used Cars and Limassol, as well as other related keywords in Google.